identiPol bridges the gap between the basic plastic tests found in traditional quality assurance facilities and the complex instruments of the scientific laboratory. 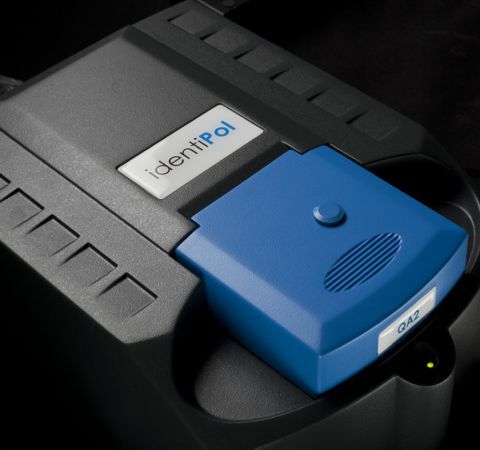 If simple tests don't provide the information required and you can't afford expensive laboratory solutions, the identiPol's units are the answer for your plastic quality control. Prevent incorrect material entering production. Ideal to place alongside the manufacturing line or move around from site to site. The system has intergrated guides on operation, allowing anyone to operate them. Global support staff available to assist with any technical or data related advice required. A case study looking at the value the identiPol instrument brings in Polypipe Civils production line. "The Polymer Training and Innovation Centre (PTIC), part of the City of Wolverhampton College, was established in 2010 as part of the asset purchase of the former Polymer Industries Industry Training Board. The centre has now added an identiPol system to their facility to bring students up to date with the latest plastic testing and conformance technology." "Much is at stake when your customer puts $50,000 worth of their product inside your product and then ships it around the world and expects it to arrive safe and sound at the other end. Proflex manufacture a range of multilayer plastic enclosures for bulk liquid packaging of non-hazardous and food grade liquids. These large enclosures can withstand temperatures of...."
"The simple scale allows Polypipe Civils to measure the polymeric properties of each batch of recycled material prior to use. The capability is invaluable."